When flames and smoke consume a home, trying to return to a normal life may seem like an impossible task. Fire damage restoration NYC is the all-important first step in the process of rebuilding the structure and making it a livable space once again. The process of remediation after this kind of loss is time-sensitive and involves some steps. Finding a professional organization to perform this process can reduce financial stress and assist property owners to return to the home that they love. New York Water Damage professionals will always treat you with empathy and respect, and we’ll always treat your belongings and home with great care. New York Water Damage is close by and ready to respond to your fire or smoke damage emergency. We are proud to be an active member of the community and want to do our part to make our community the best it can be. New York Water Damage professionals have been in the fire damage restoration and environmental business for several years. We have recovered thousands of commercial and residential properties, and gained commendation for having completed the most challenging smoke and fire restoration projects. Fire or smoke damage requires special care. Trying to brush away soot can cause further damage. We use state-of-the-art equipment to remove smoke, soot and other residue utilizing environmentally safe methods. Our professionals know what to do in fire restoration projects, thus, leave it to the experts. We specialize in the restoration and decontamination of buildings, mechanical engineering systems, contents, documents, electronics and magnetic media that were destroyed by soot, fire, and smoke in New York City. We are ready to handle any fire damage related issue. 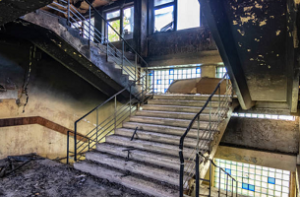 Our team of experts know all the features of the fire damage related emergency services and how to best serve your needs in a timely, efficiently, and cost-effectively manner. New York Water Damage recovery service is offered to both our commercial and residential customers. Contact us today for fire damage restoration NYC services.